For over six months the Chinese Communist Party (CCP) spies' have followed the movements and surrounded the home of attorney Gao Zhisheng. Gao recently received an anonymous phone call telling him the methods used in following his movements are directed by “national psychology experts” of the CCP who have him under close observation. Recently a change occurred and he is now tailed by two persons, usually one male and one female. In particular, Gao has noted that the young women tend to wear provocative clothing and walk in front of him trying to attract his attention. Gao returned to Beijing by ship and train. On April 26th, as he was exercising in the morning, one person ran beside him. On the next day, it changed from one person running beside him to one person following him by bicycle. On April 28th, the number of spies who follow Gao increased to four. Usually two persons would ride bicycles while two would drive behind in a car. Often they would follow Gao's running so closely that they would step on his heels. One time, Gao called the spy who stepped on his heels a “lackey.” The person following him did not respond. Gao believes that the methods used in following his movements are a form of psychological warfare designed to break him down. These new methods used in following Gao have lasted for over twenty days. 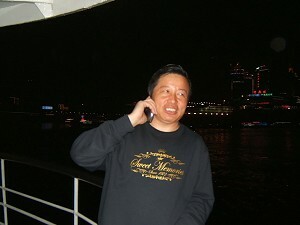 Gao Zhisheng: There is a person in Langfang who often calls us a couple of times every month. He told us about the psychological techniques used by the persons that follow our movements. He told us the CCP had developed and successfully used these psychological techniques over the past 20 years to break people down and torment them.” The caller suggested that Gao does not respond to these psychological techniques as would a normal person. Many normal people have committed suicide as a result of such techniques. “The caller told us, everyday when you exercise in the park, to observe you, the 'national psychology experts' also pretend to be people who exercise. When they return to their offices they then direct others what actions to take next against you”. 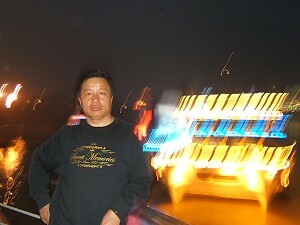 On May 14th, Gao went out with his daughter. The two were followed by seven persons in four cars. This made Gao angry. He returned home and began to videotape the persons who had followed him and his daughter. The spies immediately ran away, but reappeared later in the day. A hat was seen on every spies' head. Surgical masks covered most of their faces. While Gao continued to videotape, a female spy moved close and began to dance in a provocative manner until he was eventually forced to stop recording. The impudicity of the CCP made Gao and his wife laugh bitterly. By that afternoon, there were more than ten persons following Gao and his daughter to a Kentucky Fried Chicken restaurant. “They were so close they almost stepped on our heels,” said Gao. After he and his daughter had returned home, the persons following them brought out wooden stools and sat around Gao's apartment building. Hats were pressed down covering their faces. By May 16th, the large group of ten spies paired up, one male and one female. When Gao was writing articles in the Kentucky Fried Chicken restaurant, young female spies (all of them are young girls) with their belly exposed walked in front of Gao in a sexually suggestive manner. Gao felt bewildered regarding this tactic of the CCP psychology experts. 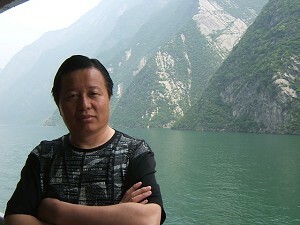 Gao Zhisheng's speech has an accent of North Shaanxi Province (Shanbei); he speaks clearly and fluently with cadence. To get a point across to the listener, Gao gives examples of real cases in a ordered manner. After a recent trial, a judge from Jiling Province shook hands with Gao to praise him of the clarity and efficiency of his arguments in court. Even the spies of Shanbei admire him. Gao said, “My law offices were tightly surrounded by spies and that has put me out of business. But I think these spies cannot put the Kentucky Fried Chicken restaurant out of business.” As a result, Gao often goes to the Kentucky Fired Chicken restaurant to meet with people and/or write articles. On May 15th, Gao was interviewed outside the Kentucky Fried Chicken restaurant. When talking about the government crack down on Falun Gong he made a very impassioned speech. Not only did other customers at the restaurant stop eating, but the twelve spies sitting around five other tables in the restaurant were also silent. Though having been continuously followed and harassed by agents of the CCP for over six months, attorney Gao's current state is surprisingly good. “I'm very busy everyday. Each day I receive numerous calls from around the country calling to offer help. Callers are from Shanxi, Shanghai, Hebei, Zhejiang… I do not want to take calls sometimes. A 76-year-old man who has petitioned for life about the injustice against him called me and said, 'Attorney Gao, you must take care of yourself and keep healthy. We leave all our hope in you.' I was so sad when I heard this. He said, 'To assist in your efforts I have purchased a computer and printer. I am learning how to use and find information on the Internet. Because it is so expensive to print such materials outside I am learning to print them on my printer at home.' He lives quite frugally and prints out the daily report about Gao at home. I asked a few friends working in the Urumchi police system for help with my passport application. One of these friends said that when he helped me with my passport last time he had no idea I was in such great danger in Beijing. After Gao left, the three persons who had followed him on foot went into the police station and talked to the police. One of these spies sat exactly where Gao had sat.